EDC has extensive experience designing, developing, implementing and maintaining business systems and software solutions. EDC Consulting offers end-to-end implementation and post implementation support services for SAP, Oracle, PeopleSoft and Maximo business systems to name just a few. We are experts at ensuring that these business systems meet our clients’ needs of today and tomorrow.  EDC Consulting has formal partnerships in place with companies like SAP, Oracle, IBM and many other independent software and hardware vendors and services providers. Over the years we have fine tuned our implementation methodologies to meet the needs of different industries and businesses. Our team of consultants includes subject matter experts with significant business experience coupled with many years of implementation expertise in specific industries to help our clients realize true business value and a return on their investment. EDC Consulting has a strong track record of supporting the warfighter by implementing and integrating complex SAP functional and technical solutions for a wide range of Defense clients to include the U.S. Army, U.S. Navy, Defense Logistics Agency (DLA) and Office of the Secretary of Defense (OSD). EDC Consulting helps its clients achieve high performance by delivering Oracle services through an unmatched combination of industry expertise and implementation know-how that brings depth, completeness and value to our services. EDC has provided Oracle services to the U.S. Marine Corps, DLA, U.S. Army, OSD, and many other clients in the Federal government. EDC has a strong track record of success implementing PeopleSoft business systems. We recently integrated, implemented, and deployed PeopleSoft’s best-of-class software for financial management, human resources and business intelligence in an accelerated model to over 1.2 million individual users in the U.S. Army. As a certified Microsoft Partner, EDC Consulting has developed and delivered Microsoft technology and solutions for DHS, DOD agencies, Civilian Federal government agencies and for our own company internally. Whether delivering Microsoft Dynamics, .NET framework, Office 365, SharePoint-in-the-Cloud or customized SharePoint branding to meet our clients’ unique expectations, we bring expertise that makes us uniquely suited to deliver on our clients’ vision and requirements. Our expertise has helped organizations maximize the ease of use of an already familiar Microsoft suite, as well as SharePoint and other Microsoft solutions for their specific needs. Our capabilities and experience include the full range of solutions deployment including enterprise content management, content migration, custom SharePoint development, complex workflow development, custom branding and design, governance, large scale deployment topologies and operational support. With SharePoint, our government clients can tie together disconnected islands of data, integrate technology with business processes, and target and personalize information for groups and individual users, so users can be more productive and effective in their work. EDC’s systems experience and expertise extends well beyond the traditional ERPs such as SAP, Oracle and Peoplesoft. For many years, EDC has been working with clients in both large and small organizations to leverage the investments and software licenses that reside within their current software portfolio. Having a true “product agnostic” approach to delivering the best solution for each client, EDC has worked with many different business systems and technologies including Workday, JD Edwards, Lawson Financials, Great Plains, Momentum, Manugistics, i2, Sage software and many more. We have the technical skills and functional know-how to help organizations of all sizes harness the power of ERP without the high costs and long implementation lifecycles. Our deep understanding of leading-edge systems, processes and technologies, combine for an invaluable 360-degree perspective on applying the right technology to achieve mission objectives. Over the years, EDC Consulting has successfully delivered new Maximo implementations for clients in the Federal government, Oil, Gas and Energy sectors. In every project, we use a proven implementation methodology and leverage the expertise of our senior Maximo consultants to ensure our clients goals are being met. Software development projects within the Federal sector often fail to readily accommodate changing requirements, leading to frequent cost overruns and delays. The reality is these legacy approaches are poorly designed for today’s more dynamic missions and tighter budgets. EDC Consulting’s Software Development services team works in partnership with its clients to manage, design, develop, deliver and support unique custom built software and middleware solutions. Each solution is exclusively designed and implemented to meet our individual clients’ requirements. EDC is able to deliver an experienced, highly technical team with deep subject matter expertise SAP, Oracle, PeopleSoft, Maximo software solutions and the application development process. EDC Consulting has in-depth subject matter expertise implementing a wide range of enterprise-class business systems in DOD, Federal and commercial environments. Adhering to the philosophy of customer focus and excellence by innovation, EDC has deep past performance success implementing SAP, Oracle and PeopleSoft solutions, in addition to Maximo, Siebel, JD Edwards, Sage and Microsoft Dynamics. Over the past 10 years, we have provided optimized management solutions and ERP services covering implementation, full lifecycle consulting and operation & maintenance to Federal and commercial enterprise users. We also provide technical support by leveraging a seamless combination of rich project experience and mature industry solutions. As a SAP Services Partner and Oracle Platinum Partner, we are dedicated to providing users with the best ERP platforms and top-notch services. Whether using SAP HANA, Oracle’s Data Integrator or other next-generation Extract Load and Transform (ELT) technology, EDC helps its clients improve performance and reduce data integration costs while providing continuous access to timely and trusted data across heterogeneous systems. Through many years of experience and lessons learned, our key to success is driven by our deep understanding of the importance data quality and data management. We work closely with our clients to address all data issues prior to deploying and transitioning to any new system. EDC is managing the HR (PII) data of more than 1.2 million soldiers in a trusted data warehouse as a prime contractor in the U.S. Army. EDC also built and maintains a three-environment infrastructure, using key components of Oracle’s Fusion Middleware (FMW), Oracle’s Business Intelligence Enterprise Edition (OBIEE), Oracle Data Integrator (ODI), WebCenter Portal and Content Management, Records Management, Secure Enterprise Search, Identity Management and Single Sign-on as a prime contractor for the Bureau of Alcohol, Tobacco and Firearms. As with most Federal government legacy information systems, there comes a time when making system modifications or enhancements are no longer financially practical. Since these systems are often the backbone of that organization, it is not something to consider lightly. EDC Consulting helps its clients migrate and modernize mission-critical legacy systems so they can take advantage of new technology and increase productivity. EDC’s full range of services is available to help every organization transfer outdated legacy systems into new technology platforms, making mission-critical applications more robust, efficient, and cost effective. EDC can do this seamlessly without missing a step during the migration. EDC works closely with its clients to allow them to operate more efficiently and effectively today and in the future. The Department of Defense and the Federal government have countless business systems (Oracle, SAP, Peoplesoft, Legacy, etc.) dispersed across the enterprise that are in use today and must be maintained to stay operationally effective. These business systems have many challenges in maintaining them such as integration challenges with newer, more modern systems or legacy systems, lack of maintenance, upgrades and enhancements, as well as knowledgeable system resources and fiscal constraints. Replacement of these systems with newer, modern technology is a challenging option given the high cost of and lengthy schedules for development prior to fielding these systems. Therefore, our clients have a mission critical need to maintain their current systems to avoid disruption and ensure smooth and seamless operation and service to their end-users. Sustainment requires continuous maintenance, rework and repair of systems and the constant management of their underlying data sources. We work closely with our clients to ensure their key issues are addressed and that the obsolescence of their environments is mitigated. At EDC, we have developed industry-leading operational and system support solutions to give our clients a very high probability of achieving and successful implementation. We have developed best practices based on our vast experience with this kind of support. While working with EDC, you’ll have a team of dedicated professionals who will guide you to success. We will make sure our clients place their focus on their mission at all times while we sustain their systems, and ensure that mission critical systems continue to run smoothly, while keeping budgets on track– or get it back on track. We understand the DOD and Federal government business processes and we’re easy to work with. EDC recognizes that there is a direct correlation between the successful adoption of technology by their users and the training they receive in support of that technology. EDC offers a comprehensive approach to training that begins with Workforce Preparation and Change Management and includes the education, training and assessment of our clients’ workforce. EDC recognizes that not everyone learns at the same speed or using the same processes, and therefore we offer different options for training including classroom-based instructor led training (ILT), virtual ILT, self-paced e-Learning, over the shoulder work instruction and much more. EDC use the most advanced technology, methodologies and training facilities to support curriculum development and instructional design processes, and update, modify and modernize existing training materials and resources. In support of SAP, Oracle, PeopleSoft and other business system implementations, our Trainers, Curriculum Developers and Facilitators produce high quality, cost-effective deliverables to meet our clients’ needs. © 2018 EDC Consulting LLC. All Rights Reserved.